truth | Read this and hack! PS featured image is Simon Johnson. Bucknell gets unexpected reward for being honest about a mistake. Is this worthy of an ethical snap? What the hell is net neutrality? Baratunde Thurston one of our tech/no speakers, explains it so well, it got picked up by Raw Story. I love how Bucknell can be a producer of information and wisdom and not just a user. A book review about organization theory I really need to read. Orgtheory.net is the one blog I wish I read more. Lessons for failure and management from philanthropists. Compare your answers to the US public and, um, the reality. Change Doesn’t Happen. Until it Does. From AFL-CO vs Home Depot, through Frank-Dodd, to Citigroup. Is corporate governance and executive compensation changing? Maybe. Read abotu some pretty big changes at the link. Is a Tax Better than Regulations? You want policy ideas? You like finance? You dislike “regulation” that tries to dictate firm behavior? Try this one. Instead of trying to tell financial firms what they can or can’t do, how much capital to have on the books, and so on, how about you tax a vice- like we do with alcohol and tobacco- and simply tax financial transactions to make trading for the sake of microscopic gains on immaterial price shifts non-economic? Read. here about Europe’s experiment with a different, and I would argue, less intrusive form of regulation to change financial markets and firms. You want even more financial regulation news? You are really, really troubled. I hope Vinny, Loukas, Mike, and… (who else are finance jocks?) are reading this. Simon Johnson. yes, THAT Simon Johnson, had this blog post about the 12 “angry bankers” of the Fed and their ideas to push for transparency in money market fund valuations as part of the (yes, that same one) Frank Dodd bill reforms that created the systemic risk council. In a nutshell, the financial industry does NOT WANT such valuation while the regulators do. I am never surprised when practicing “capitalists” fight against actual free markets (with liquidity and transparency). Businesspeople are often, perhaps usually anti-capitalist if you define capitalism not as maximum wealth accumulation, but as free markets that expand the prosperity of a society. Am I alone in seeing this? When Professor Comas posted about how one of the authors of The Laramie Project would be lecturing about her new project, I momentarily struggled to recall why that title rang a bell; I had to travel back to the memories of high school to remember. In sophomore year of high school, my English teacher had a part of her curriculum dedicated to learning about The Laramie Project. The Laramie Project is a play about the town of Laramie, Wyoming, and the murder of Matthew Shepard, a homosexual University of Wyoming student. The play is by Moisés Kaufman and members of the Tectonic Theater Project, whom thoroughly interviewed the locals of Laramie and used many of the interviews, word for word, in their script. The play resulted in the humanization of what had become a topic numbed by network news channels. The play was later adapted into an HBO Original Film. Remembering how moved I was by both the play and the film, I elected to see the author speak about the topic of her new play: Jonestown. I again had to travel back into the memories of high school to remember what about Jonestown I had learned. I vaguely remember watching a documentary in my Psychology class about a crazy pastor, Jim Jones, who rounded up a bunch of people from San Francisco, traveled with them to some island in an attempt to create some sort of sovereign colony, and then had them all commit suicide by way of poisoned Kool-Aid. One of the main things that struck me in high school about this case was the huge sum of money Kool-Aid spent on proving and advertising that it was a knock off brand and not the real stuff. Needless to say, I went into this lecture mostly ignorant to what truly happened on that little island (except that Kool-AidTM is not affiliated). One of the first points that Leigh Fondakowski, the author/lecturer, made was that she too was quite ignorant to Jonestown. She knew just about as much as I did when she started and made a conscious effort to do no auxiliary research as she traveled about the country interviewing Jonestown survivors. She felt that auxiliary research would undermine the information that her interviewees gave, in a way. One of the main topics of controversy is the conflicting information that is available about both Jim Jones and Jonestown; Fondakowski did not want to subconsciously, or consciously, form any bias before conducting her interviews. It was important to her that the truth of the story come from her interviewees. Like another playwright we know, Fondakowski deals with “truth” in an interesting way. She asserts that it is not her place to determine what is true and what is not about the story of Jamestown, but importance lies in her interviewee’s “truths”, or what they believe to be true. Fondakowski believes that these truths are what allow the audience to empathize with the characters and further humanize the series of events. After a reading a series of heavy interviews and showing eerie photos, Fondakowski offered to answer any questions that the audience may have and requested that all questions be asked into the microphones located at the base of the forum. No one moved. Trying to ease the tension, I walked down to the microphone and said, “Hi, I’m Frank. I’m wondering if you intend to adapt your script into a screenplay like you did with the Laramie Project.” For those who appreciate good television, or are interested in Jonestown, Fondakowski is currently working on a Jonestown series. Now, some of my students doubted this phone call happened. I can assure you it did. Maybe Mike (Mr.Daisey? Etiquette fails me) is even reading this as he assured me he read all 64 blog posts by 32 of you over two weeks. And 100 last semester, I presume. I wished he would have commented for their sake, but I also understand that engaging in 164 individualized exchanges in 2 semesters is a lot to sign up for (I get paid for it!). The highlights of the conversation. 1) He wanted me to let my students know he did read their posts. And he liked Gil’s use of a picture of Mike to “prove’ he is a “big, fat liar.” I think Mike was sincere in being amused. 2) He wanted me to make it clearer that he issue an apology to his audiences and other stakeholders (theater people, journalists and human rights activists, especially). You can read it here. The LA Times, at least. noticed it. I speak about truth because it is what I aspire to. All my stories, even when I’ve fallen short, have been attempts to experience the truth with my audiences. I am sorry for where I have failed. I will look closer, be more patient, and listen more clearly. I will be humble before the work. I think some of you wanted more of a mea culpa from him then he offered (or was included) in the “Retraction” podcast. 3) I thanked him for both the the quality and the strength of the original The Agony and Ecstasy of Steve Jobs and for making that work available under a Creative Commons license. For those who think he may have wanted somehow to get “more fame” from TAESJ to line his pockets, you need to know that he makes no money from others performing that work. In a groundbreaking move, after over 200 performances in 18 cities over 19 months, a transcript version of THE AGONY AND THE ECSTASY OF STEVE JOBS was made available for free download in February 2012, and has been released under an open license so that it may be performed by anyone, anywhere, royalty free. It was a phenomenon, downloaded more than 100,000 in its first week, and to date has had over 35 productions, and been translated into six languages. 5) We discussed how Ira Glass and the other people at This American Life made their own choices about how to handle the problems with the original podcast. I shared that I am frustrated by the attempt to equate Daisey’s problems (lies, exaggerations, or appropriation of 3rd party material as his own experiences) with the overall truth of the issues in the play, which include of course our own love affairs with Apple technology and also the lesser known history of Apple and Jobs. 6) I explained that the tech/no performance of “un/real and un/true: The agony and the Ecstasy of Steve Jobs” was a polyvocal performance. We added various “interruptions” to the original script to bring many different viewpoints into the performance including other reporting about Foxconn and Apple, an interview where Steve Jobs dismisses concerns at the factories (“They have swimming pools” he says, I think), a fragment from an 19th century mill girl in America with similarities to the problems in China, a Chinese scholar’s reaction, and so on. Do I Agree with Ira Glass? I think part of Mike’s concern was also that the way the student posts ended with “Retraction” podcast implies that it is the end of the story. “The narrative doesn’t end there.” I agree with him. There are so many other issues and changes in the overall “story” of technology (all companies! ), Apple, China, globalization, capitalism, consumers, and development and justice. I won’t outline it all here, but just this week, I heard that Foxconn was going to open up its labor unions to freer elections. Is everything “fine” now? I don’t think so. Progress is not an excuse for complacency. Mike did not say directly, but I wondered if part of his concern was that the nature of the assignment (from his viewpoint, reading these blog posts) was that perhaps I sided completely with Ira Glass and the TAL producers. Here is the short answer: no. I was one of the people who worked hard to see the play still performed here last fall when there were understandable concerns about having it all (especially after dealing with Greg Mortensen). But full credit to Pete Mackey, our VP of communications, who imagined that the original monologue AND the controversy around its truths and lies could be performed in a way that acknowledged it all. Technology, justice, globalization, China, Apple in an engaging play AND the issues of truth, art, knowledge, and journalism all in one moment! Yes, please! Look, when I teach, I try to be careful to leave plenty of “space” for student voices to come forth and express themselves. I balance this with some healthy amounts of my challenging or engaging a student to develop their ideas more in speech and writing, to go deeper, to be more sophisticated, and to ask hard questions. Sometimes, I reveal what I “really think” if I think it will provide new insight or will model a way of thinking. Maybe I am too careful not to make my views clear. Maybe I reveal too much of what I think. Bucknell students like to know the right answer. This is an ethics class after all. Maybe I should be arguing for what is clearly ethical or unethical. So maybe Mike thought, based on how I structure the blog posts, that I fully agree with “Retraction.” Understandable. But I do not. My choices for how I structure the materials and assignments are about creating student experiences. To have the full impact of the first podcast, followed by the impact of the retraction, followed by having to make one’s own decisions about what matters, about what is right or wrong in facts and in ethics, followed by having to grapple with who controls the narrative, followed by some uneasy reconciliation with this whole nexus of issues is a series of I think irreplaceable learning moments. But I believe truth is situational and contextual. This was the origin of the other poll question that many of you answered. I am a dyed-in-the-wool social constructivist meaning that what we usually call “facts” are never universal and always have a history. All knowledge is socially constructed. This can perhaps make me seem like a naive relativist to some. The Opus Dei priest who was an ethics teacher for one higher education class certainly thought so and so failed me on an ethics exam. But I argued then and now that social constructionism does not mean “anything goes.” Knowledge and facts still must meet criteria of accuracy or worthiness before they are accepted by that knowledge community. The knowledge AND the criteria are themselves always a result of a social process of interested actors. There is no position from which to step outside of our constructed existence and objectively measure facts as “true”or not. But criteria and knowledge is the best we can do. And we should always try to make them better, whatever our field is. One result of this approach to epistemology is an inherent pluralism in knowledge. Since there are many kinds of knowledge and many sets of criteria, what is good knowledge in one area may or may not be in another. How we judge “correct” literary theory is different from “correct” civil engineering from “correct” sociology. So did Mike lie in parts of his monologue? Die he make mistakes or exaggerations (yes, yes). But did he LIE where lying is a deliberate act of deception? By the standards of journalism, yes. By the standards of theater, no. By the standards of utilitarianism, no if the amount of visibility raised far outweigh the cost of the lies. By the standards of a social movement to humanize the global economy, no. Is there an easy answer to the question? No. Believe nothing that you hear, and half of what you see. A teacher in high school once told me, “Believe nothing that you hear, and half of what you see.” Although this is an extraordinarily cynical way to go about life, I feel it’s an important rule of thumb. I think the first word I would use to describe Mike Daisey’s account of Apple would not be “falsified” but “sensationalized”. Daisey pads his somewhat true story with untrue happenings not in order to mislead people but in an effort to sensationalize his story for people. These added happenings certainly have this effect; they make his story far more interesting and his points far more conveying. To make an analogy out of this, Daisy sensationalizing a supposedly true spoken-word story would be like a professional athlete taking performance-enhancing drugs. His story remains in our mind but it’s looked back upon with a hint of skepticism. There was a certain amount of cheating going on behind his story. In the film Scarface, Tony Montana says, “All I have in this world is my balls and my word, and I don’t break them for no one.” Montana is surprisingly poignant with this statement; all anyone has in this world are their balls and their word (so to speak), and they’re each very difficult to fix if broken. This little catchphrase of Montana’s applies especially to Daisey and those of his profession. Daisey’s career as a spoken-word artist who speaks about his own opinions and experiences is entirely dependent on whether or not his audience can trust him. The slow, inviting delivery of his material would lead one to believe Daisey is aware of how much weighs on his audience’s ability to buy into what he’s saying. Perhaps after such a storied career Daisey thought that he had gained enough trust from the general public to pad his story with a fair amount of sensationalism. Unfortunately, Daisey failed to realize that having a storied career, and having gained the trust of his audience means nothing if he breaks the latter of the two things he has in this world. At the end of the day, Daisey lied. He presented sensationalized truths to an impressionable audience. In the United States court of law one swears before testimony to deliver “nothing but the truth.” I wonder if Apple considered suing Daisey for slander. Daisey never gave any impression that his story was falsified in any sense, and although this may have taken away from the effect to the audience it is lying and cheating to do otherwise. Daisey’s journalistic venture into China embodied the yellow journalism of the 1920s. Daisey, as Tony Montana would say, “broke his word” with his piece on Apple. The end result of Daisey’s hurt credibility is fair more relevant than toiling over what of his piece was truth and what was lies. Mike Daisey believes Mike Daisey: Do You? Being restricted to three paragraphs to try and answer these questions is cruel and unusual punishment. I would be lying if I told you that I have the answers. But since I must do so as a result of the assignment, I will intend to do the best I can to answer the questions given the context and resources that have influenced me. What is truth? What are lies? Who gets to decide? At the crux of sorting out all of these answers, in my opinion, are three main elements: motivations, intentions, and goals. To illustrate this idea, consider this very blog response. We can then put this Apple case on the stand and try to generate some more assertive answers. Sure, I have greatly enjoyed these podcasts, but my motivations for writing this blog are clear. I am scrambling to post the answers to the aforementioned questions by midnight tonight mostly because I realize the effect it would have on my grade if I did not do so. I have laid out my intentions, though they are also pretty guided by the prompt. I plan to consider the answers to these questions based on the resources I have been provided, my own background knowledge, and the context in which I am presenting my findings, namely, a blog to spur discussion among classmates on the topic at hand. My goal is along these same lines. I want to create an interesting idea that can be used to more generally understand the meanings of truth and lies within the appropriate context. In this case, my idea is a set of elements that must be considered in each case – motivations, intentions, and goals. Making the dramatic shift from my blog post that maybe twelve people will read to Mike Daisey’s monologue that millions of people have heard, we must remember the core elements and apply them to this situation. First let us consider his potential motivations behind his actions. It is pretty reasonable to think he was motivated by the potential of become famous and garnering media attention. In this retraction podcast, we hear about the MSNBC interview and numerous other outlets for the name “Mike Daisey” to become well-known. When considering his intentions, it is hard to look much further than the comment he makes in his monologue, which is repeated in a dramatic moment during the retraction,” I am going to lie to a lot of people”. The fact that he said this straight forward, I believe that Daisey intended to make false statements the entire time. Last, when considering his goals, I am struck by how much this project and work means to him. He almost seems to be describing a “suicide” when he gets emotional and says how sometimes he wishes he would have just killed the project altogether. Mike Daisey had a goal of embarking on a mission to tell the story of Apple to everyone—with a combination of facts and personal touches. 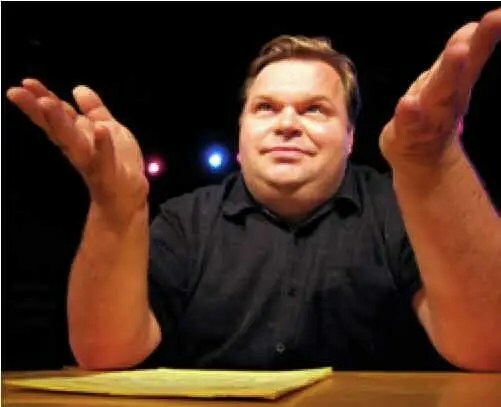 Considering this context coupled with the dictionary definitions of truth, “that which is true or in accordance with fact or reality”, and lies, “an intentionally false statement”, allows us to form an opinion of whether Mike Daisey should be considered a liar, or as he says it, a story-teller and writer. I believe that since personal wealth could be motivating his actions and decisions, his intentions were to intentionally tell false statements (the definition of a lie), and his goals were not, in my opinion, creating a majority best interest, Mike Daisey should be considered a straight-up liar. Maybe I do not get to decide, but I think anyone can decide so long as he considers how all those elements play into the context of the situation. Do you think these elements make sense, and if so, do you think they justify Mike Daisey’s “lies” or do they further make him seem to be a lying scumbag? Listening to Mike Daisey’s responses in “Retraction” made me cringe. His long pauses followed by short answers made listening to the interview with This American Life uncomfortable. The problem with Daisey’s monologue is simple (at least in my mind) – he mixed truth with lies. I’m a firm believer that people know when they are telling the truth and when they are telling a lie. When Ira Glass asks Dasiey to clarify shady parts of his monologue, such as the ages of workers he interviewed or whether the guards carried guns, his long pauses and seemingly voided answers made the interview process exhausting, as Glass would describe during the show. Some might argue that Daisey just took his time to answer the critical questions that Glass asked him, however I firmly disagree. Have you ever been accused of lying but known deep in your heart that you told the truth? I have – and there’s no way I, or anyone else in their right mind for that matter, would respond the way Daisey does. His answers make the story even more difficult to believe because he lacks simplicity. Truth is simple and well-understood. Lies are complex and difficult to understand. So, was Mike Daisey an unethical liar? Ironically, this is a difficult question to answer. Personally, I believe Daisey when he says that his monologue was his best work, and that is why it was so hard for him to answer some of the questions that Glass asked him. I believe that he did indeed experience and witness some of the things that were in his monologue, but that he also drew from other articles and instances that had nothing to do with Foxconn and put them into his elaborate story. Therefore, I think the right thing to do would’ve been to explain to his audience that it’s a fictitious story BASED on true events – not non-fiction like he initially described it. He could have even done this after the fact, with his interview on “Retraction” and I think he would’ve been fine. Instead, he chose to give shady answers and not fully come clean with what happened, resulting in unethical behavior.